It was a bad day for Bognor in the Bostik premier promotion race as they went down to a 4-0 defeat at home to second-placed Haringey. The reverse sees them drop out of the play-off zone and down to seventh ahead of next Saturday's big West Sussex derby at home to Worthing, who are up into the top four after a 2-1 win at Wingate 7 Finchley. It was only 1-0 at the break after Kudus Oyenuga's goal but the North Londoners took full control after the interval and strikes from Joel Nouble (2) and Karl Akinwande condemned Bognor to their largest home league defeat in a long time. In the Southern Combination premier, Chichester City are now NINE points clear at the top after Ryan Peake scored the only goal of the game at home to AFC Uckfield Town in the third added-on minute. That coupled with news that closest rivals Newhaven had lost again - 2-1 at Loxwood - made it a day to savour at Oaklands Park. Also celebrating were Pagham, who put recent poor form behind them to beat Lingfield 2-1 at Nyetimber Lane. Howard Neighbour and Harry Prisk were their scorers. In division one, Selsey lost 1-0 at home to AFC Varndeanians, Sidlesham went down 2-0 at home to Bexhill and Midhurst were 2-1 losers at home to Southwick, with Gary Norgate on target. In division two Bosham lost 3-1 at home to Copthorne. 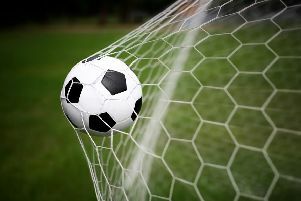 In the West Sussex League there was a nine-goal thriller at East Dean - who beat Petworth 5-4 in the Championship south division - but a 2-1 home loss for Felpham Colts against Angmering.